The sourceid parameter is what worked for me. (I understand that the sourceid may actually be a sort of permanent thing with SP, but I’ll always check anyway 🙂 ). 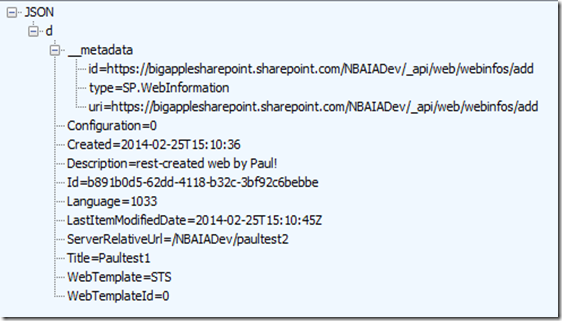 This entry was posted in REST, SharePoint Search, SharePoint Web Services and tagged REST, Search on February 26, 2014 by Paul Galvin. I’ll add to this as time passes. I create a custom list with a column named “Blog Author” (space between Blog and Author). Simply replace the space with “_x0020_”. We see the _x0020_ in many examples across the internets and REST is no different. The expression “Blog Author” is not valid. Create a custom list named Categories. 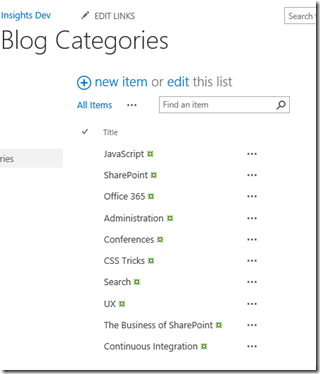 Create another custom list called MockBlog and add Categories as a multi-select list column (or site column if that’s how you roll). Add some items to your Mockblog list and you’re ready. 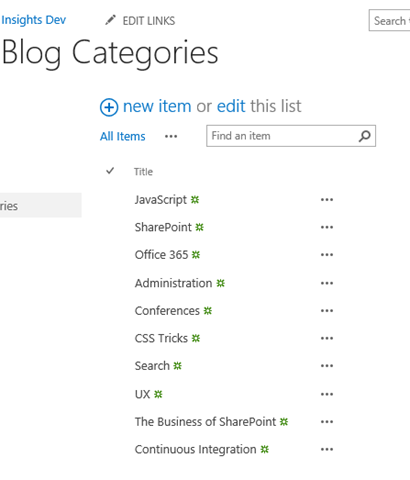 We’re telling SharePoint “Give me the title for all the Categories (Categories/Title). Get the actual values for Title by $expanding the Categories list.” (My RESTful paraphrasing is probably pretty loose, but this how I’m interpreting it). I blogged about this separately. The key is to specify a sourceid parameter whose value is the GUID of the Local People content source. (Content sources used to be called scopes and it’s my-oh-my so hard not to call everything a scope for me!). This entry was posted in REST and tagged Search on February 26, 2014 by Paul Galvin. There are a lot of resources around that show how to do this, but I couldn’t find a comprehensive go-to link, so here we are. SiteRequestForm.html: Collect information and create a site for the user. This approach uses jQuery. In my case, my jQuery library is located in “../plugins.” You’ll want to change that to point to your favorite JQ location. 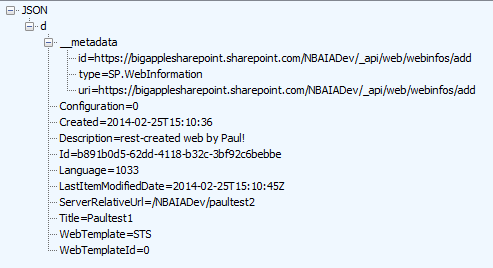 You can copy and paste that whole snippet into a Content Editor Web Part on a page and it should work just fine. 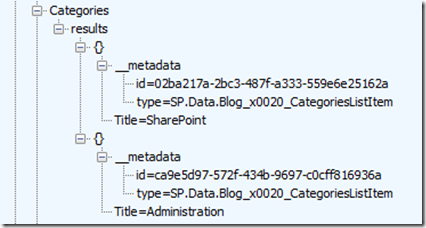 You’ll want to change the end point of the API call and make sure you reference JQ correctly. You don’t need to provide a content-length. 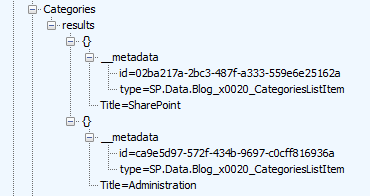 Some blog posts and MSDN document implies that you do, but happened for me automatically, which I assume is being handled by the $.ajax call itself. This line is required in order to avoid a “forbidden” response: "X-RequestDigest": $("#__REQUESTDIGEST").val(). There are other ways to do it, but this is pretty nice. I have lost the link to blog that provided this shortcut. H/T to you, mysterious blogger! Good luck and hope this helps someone out. During mainline development, I create a small dataset with just 10 or so rows in a custom list and my REST calls all pulled from there. Once I bumped up the list to have a few hundred rows of data to test for anticipated growth, I found that I was getting exactly 100 rows returned back on my REST calls. I picked 9999 in this case since I know that growth-wise, there won’t be more than 200 or so rows added to this list in a year. If it becomes ungainly, we can implement some paging down the road.